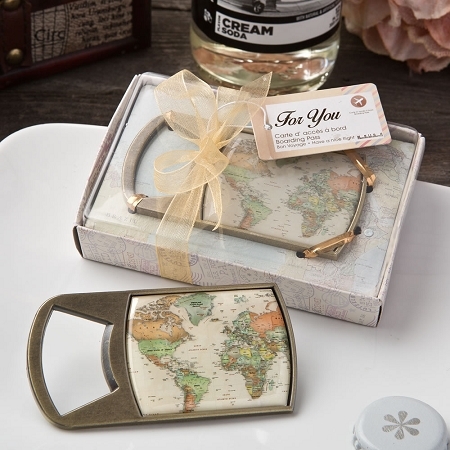 Take your globe trotting event theme to the next level with these classy bottle openers. 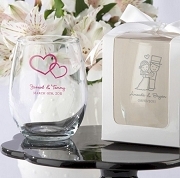 They make a fabulous keepsake that guests will be delighted to use at home as a reminder of your special occasion. 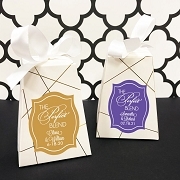 The bottle openers are crafted from heavy solid caste metal and have an antique brass color finish. Placed under the clear epoxy dome is a vintage map showing North and South America, Europe and Africa. This was used as a favor for my best friends 30th birthday and everyone loved it. The delivery was fast and it was priced well. 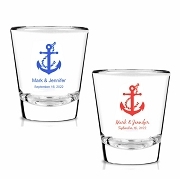 Perfect gift for a travel themed party. I will order from them again. This was the perfect favor for mymother's travel themed party. The box it was packaged in made it look even more beautiful.